Jeanette’s Head Girl is 34-year-old Julie De Winton. 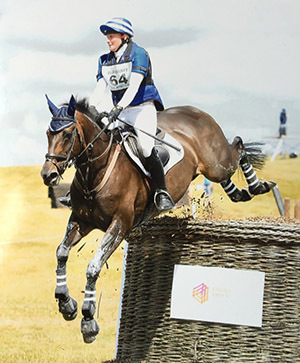 She has produced her own Mini Miss from a 4-year-old to 3* level whilst also competing Rhonaldo IV (Alfie) for Jo Ellis-Jones this season at BE100 level – he will be on the market in the new year. Julie came up through Cheshire Hunt South Pony Club and following her A levels pursued a career with horse. She has run her own yard and done lots of freelance teaching before joining Team Brakewell. Her aims for next season are to gain more experience at 3* level with Mini Miss and hopefully add a youngster to her string.